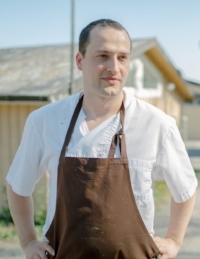 Alex Jackson started his cooking career at Stevie Parle’s acclaimed Dock Kitchen, where he worked as head chef for a number of years before staging at April Bloomfield’s Tosca and Alice Water’s Chez Panisse in the San Francisco Bay Area. He returned to London as the head chef of Stevie’s second restaurant, Rotorino, and spent a period as a cheesemonger before opening his own restaurant, Sardine, in the summer of 2016. His first book, on Provençal cooking, will be published by Pavilion in 2019.